With quality carpet being such a significant expense, it is important to know that when a carpet becomes damaged or stained, there are other options besides replacement. Whether carpet maintenance is needed throughout an entire hotel or house or in one small room, the Carpet Surgeon specializes in guaranteed repairs. All of our workmanship includes a 30 day 100% Satisfaction Guarantee. When carpet troubles arise, the traditional course of action has been to immediately resort to costly carpet replacement. 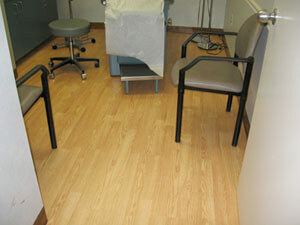 What many people don’t realize is that carpet repair is often the best solution, saving you both time and money. As a result of being walked on and burdened every single day, carpets can deteriorate fast—and when they do, they can be an unsightly mark on the aesthetic of a home or business. And, with quality carpet being such a significant expense, it is important to know that when a carpet becomes damaged or stained, there are other options besides replacement—let our flooring contractors in South Jersey explain them to you! Carpet stretching: If your carpet is experiencing rippling or bubbles throughout, stretching is the answer! This procedure presses your carpeting down to offer a completely smooth surface, free of bubbles, ripples or snags. Patchwork: Small or even large sections of carpeting can be damaged over time for various reasons—whether it’s something resting atop it that has caused damage or incidental afflictions that occurred by chance. We will replace these small sections to alleviate the damages and when we’re done, your carpeting will look fluid and natural. Stain remediation: Stains are caused by an abundant number of contaminants and can make even the most well kept floors look soiled and unattractive. We attack stains at their roots, absolving them from the very fibers of your carpeting, giving you back a clean, natural, new appearance. If you spot any of the problems above and call the Carpet Surgeon for any of our carpet repair services, you’re bound to see a tremendous difference in the before and after appeal of your carpeting when our flooring contractors in South Jersey are through. There’s no stain too tough, no damages too extensive and no imperfection in your carpet that we can’t fix! Give us a call today at 856-904-2451 to consult with us about your unique need for carpet repair or carpet stretching in South Jersey. Contact us today, to discuss your flooring needs!